We always knew we were headed to a nasty provincial election campaign between the NDP and UCP. We didn't know the animosity would take a turn to the bizarre, if not the outright creepy. We always knew we were headed to a nasty Alberta election campaign between the NDP and UCP. We didn't know the animosity would take a turn to the bizarre, if not the outright creepy. The United Conservative Party took things down a disturbing path this week by posting a doctored video purporting to show a conspiracy between the premier's office and Independent MLA Prab Gill. The UCP was trying to make a point about an unholy alliance between a "disgraced" MLA and a troubled government — but instead undermined UCP leader Jason Kenney's promise to bring civility and decorum to political discourse. 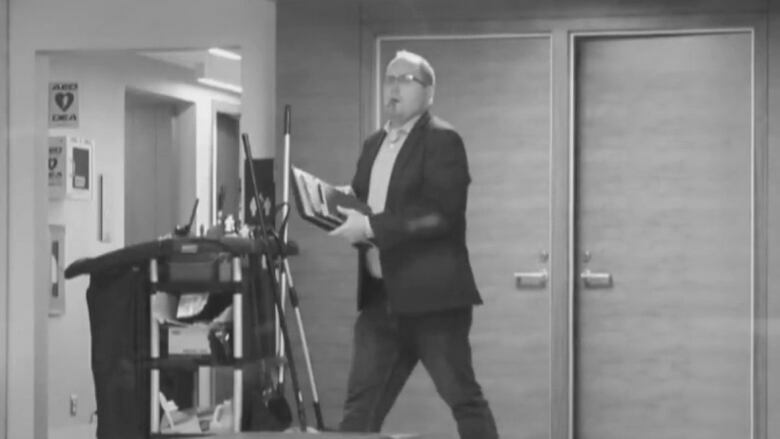 The video shows Jeremy Nolais, the director of issues management in Premier Rachel Notley's office, leaving Prab Gill's legislative office and walking a few steps to the elevator. The video then cuts to "10 minutes later" to show Gill leaving the office and likewise walking to the elevator. Not exactly Oscar-worthy film. So, to add a dimension of drama, UCP staffers rendered the video in black and white, put it in slow motion, and removed any audio. Now it appears more ominous, as if the video was shot by a hidden security camera to catch Nolais and Gill in the act. It's the kind of video you'd see from security cameras catching a couple of guys robbing a convenience store. There's no time clock running in the bottom but the date, March 4, 2019, is helpfully added. The only thing missing is an ominous soundtrack. The UCP defended the video as a public service. 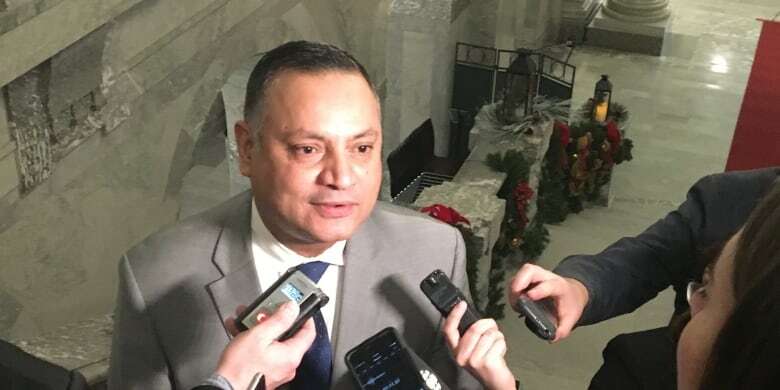 "It appears that disgruntled and discredited MLA Prab Gill is working with the NDP," said caucus spokeswoman Christine Myatt in a statement. "This speaks to Mr. Gill's motive and severe lack of credibility, and is clearly relevant for Albertans." The UCP doesn't like Gill, to put it mildly. As a former UCP MLA, he has become such a thorn in Kenney's side that the UCP slapped him with a cease-and-desist order this week demanding he stop accusing Kenney's team of tinkering with the voting system during the party's 2017 leadership race. Gill says Kenney is trying to silence the whistleblower. Kenney denies any wrongdoing and says he is simply trying to defend himself from slanderous accusation from a "discredited politician" who was found by a UCP investigation to have done his own ballot-box tinkering at a party constituency vote last summer. Lost in this he-said-he-said back and forth is the fact Kenney is willing to have his staff record the comings and goings of people from Gill's legislative office. The UCP will take umbrage to that comment, pointing out they were not camping outside Gill's office. His office happens to be across a foyer from the UCP office (no doubt a source of great awkwardness whenever Kenney and Gill happen to bump into each other waiting for the elevator) and a party staffer happened to see Nolais walk into Gill's office. Three of them then sat in the UCP office watching through a pane of glass for Nolais and Gill to emerge. Then lights, camera, gotcha! There was no doubt great excitement in the UCP office, as if they'd just captured their own Watergate moment. But it wasn't as if they caught Nolais and Gill in flagrante delicto, politically speaking. The UCP insists the NDP is up to no good with Gill, "a known ballot stuffer." Gill insists the meeting was about constituency matters. What we know for certain is that the UCP put a camera on an MLA's office, recorded who came out of that office, doctored the tape to make it as sinister as possible and posted it in on social media. This is not just creepy, it smacks of something an authoritarian government would do. That's why it should trouble Albertans. It is behaviour that undermines Kenney's promise to "raise the bar of civility and decorum in the legislature." Oh, the NDP is certainly not raising the bar with its attack web page, "The Truth About Jason Kenney," that makes New Democrats look desperate in their attempt to tear down Kenney, the man. But there is a thuggishness to this week's video that makes the UCP look mean, petty and vengeful. If this is what the UCP will do in Opposition to its perceived enemies, what can we expect if it becomes government? The video is also a reminder that even if Gill is silenced by Kenney's legal action, there is still controversy swirling around the UCP leadership race. On Wednesday, the UCP "removed" Randy Kerr as the party's candidate in Calgary-Beddington because he was "not forthright" in explaining his financial contribution to Jeff Callaway's campaign in the leadership race. There have been complaints, backed by a recorded conversation with a Callaway campaign official, that he was a paper "kamikaze" candidate whose job was to attack candidate Brian Jean and thus allow Kenney to float above the campaign fray. In recent weeks, Alberta's election commissioner has issued fines against two people with the Callaway campaign — one for obstructing the commissioner's investigation and one for breaking financing rules. Both Kenney and Callaway have denied any wrongdoing. But questions remain. The election commissioner is reportedly still investigating. If the commissioner ever issues a public report into his findings, might I suggest that in keeping with the times he release it in the form of a video. Black and white would be a nice touch — with a suitably ominous soundtrack.